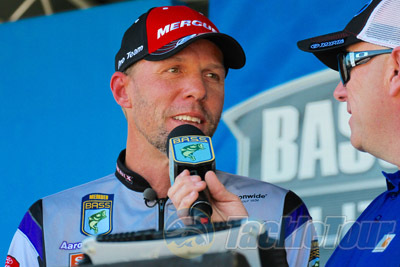 Introduction: His competitors often say, arguably, that Aaron is among the best tournament anglers on the Bassmaster tour. So it is really no surprise why he would grab the interest of high profile Japanese Lure Company like DUO. Aaron is what we would call an �analyst,� one who doesn�t just fish in the traditional sense but studies fish behavior and lure action for 30 years. (For example, I still remember at first thinking he was kidding one time over dinner when he told me that to investigate the fish holding structure under the boat he stripped down, put on his snorkeling gear and went for a swim, that�s serious dedication.) On the design and manufacturing side Mr. Adachi, the driving force behind DUO, is also well respected for his many years as a detail oriented lure designer. �It makes complete sense any professional angler would garner the opportunity to work with such enriched mastery,� said David Swendseid, US Manager and R&D Specialist of DUO International. We had the opportunity this week to sit down with Aaron Martens and Mr. Adachi of DUO to learn more about their new multi-year partnership together. Aaron, aka the �Hog Snatcher,� was noticeably excited about his opportunity. TT: Congratulations Aaron on your new endorsement with DUO International! We appreciate the time to sit down and learn more about it as well as hope that you can tell us more about what we can expect to see come out of this partnership. A-Mart: Thanks. It�s cool. I�m really excited! The whole team is already hard working, experienced and has tremendous insight. TT: And also congratulations to you Mr. Adachi. Adachi: Thank you. It is my pleasure. I am most excited for DUO and the Realis brand and of course Aaron! TT: So let�s start at the beginning, what is the first thing you�ve been thinking about since signing with DUO? A-Mart: It�s been nice, the whole transition. I just can�t wait to get started on looking at how we contribute to the industry. You guys already know the work this company is capable of, including the existing Realis lures which are really play makers. 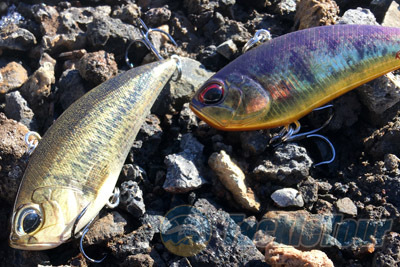 The next set of lures to be released from DUO are also very cool but you will have to wait and see what we have coming. I can tell you that I was very eager to get started so we have wasted no time. TT: Aaron, knowing you probably could have partnered with a number of different lure companies, what made you gravitate towards working with DUO specifically? A-Mart: It was a couple of things. I really liked how much thought goes into DUO�s product. I�ve known David Swendseid, DUO�s US Manager, for over 20 years and I have wanted to collaborate with him for a long time. So it�s cool that this opportunity came up. I have also been impressed with DUO innovation and quality as I have seen the brand evolve over the years, and I have been fishing some of the Realis line for quite a while as well. As you know, DUO always comes up with their own designs and action, no copies. They also have a serious research and development program, something that I feel has left the industry. TT: DUO has been making its own footprint in the industry, and moving forward what role for you envision Aaron playing in your future lure development Mr. Adachi? Mr. Adachi: Yes, there has been wide acceptance in DUO. We are honored and understand this is unique. Our contract with one of the most recognized and strongest pro tournament anglers known, brings us into exciting times but it also talks about how serious we are about our innovation. 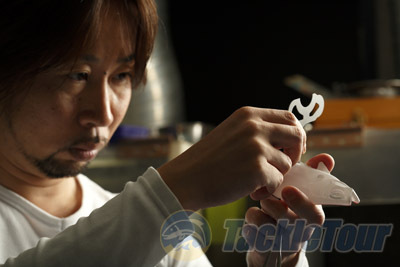 We will definitely be looking towards his expertise to design and develop our future lures. A-Mart: Since childhood I have always look at lures as a process of development. Improving lures and creating lures has always been an interest of mine. Some people think my interest is almost to detriment [Laughing]. 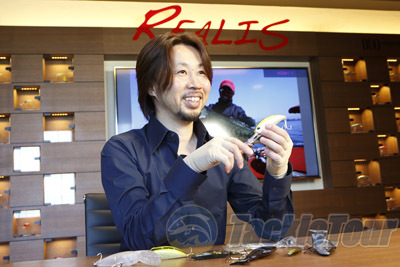 I will be working with Mr. Adachi on creating lures that will help tournament anglers therefore helping all bass anglers. TT: Mr. Adachi can you tell us more specifics about some of the new lure projects coming? Adachi: Unfortunately, I cannot at this time. You already know we have begun the Prometheus Project and Fang Ops, our exotic giant game fish line, and what I can tell you is that Aaron�s experience and desire will definitely be reflected in some of our upcoming product line so that the US anglers will benefit from this collaboration. TT: Ok, let�s turn our attention to employing DUO products today. Aaron what products have you gravitated to since your introduction to DUO? 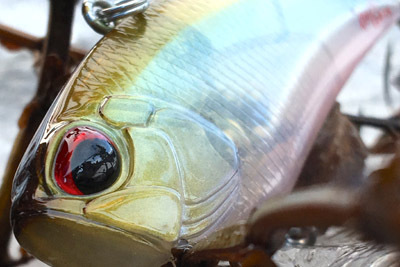 A-Mart: I was really impressed with their Jerkbait 120sp. Their lipless crank called the Vibration 68 and 68 g-fix were some of the lures that I was already using successfully before signing with DUO. TT: Aaron, you�ve always been known for your finesse fishing but have you got on the Spybaiting craze? A-Mart: I actually used it quite a bit in 2015 and cashed checks with it. 2016 season didn�t set up as much. There is no doubt that the technique can be really effective. 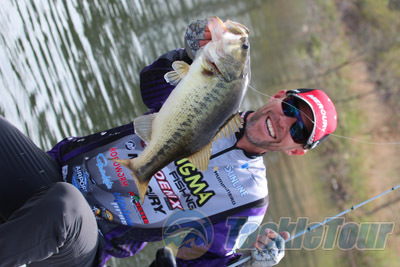 As most know it helped 3 separate pros win in 2016 in the FLW ranks. I don�t know if people realize just how versatile the lures are. Adachi: I believe Spybaiting was able to show the ability of DUO. It helped serious bass anglers, even tournament anglers, understand DUO�s innovation. We have much more to offer but we are grateful for the angler support of this technique and our baits. TT: Moving forward we hope to hear more about upcoming the new projects as they unfold. Can we assume you will on hand at the 2017 Classic, and any major plans at the event? Mr. Adachi: DUO will definitely be at the Bassmaster Classic Expo in support of Aaron Martens and we hope that his success will continue. 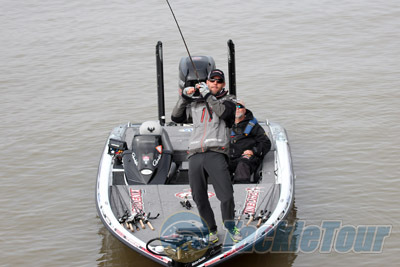 A-Mart- The Bassmaster Elites has begun so I am extremely busy, but I have learned to take it one tournament at a time! I am always excited for the Classic, as any pro would be. My only plan right now is to fish as hard as I can under the circumstances given. I think it will be good tournament. TT: It probably goes without saying but Mr. Adachi do you have any Bassmaster Classic favorites? Mr. Adachi: We only want Aaron to win [Laughing]. A-Mart: I hope I win but if it isn�t meant to be then I would like to Gary Klein, or Todd Faircloth win it. TT: It should be a great event. Thank you both for taking the time to sit down with us today and again congratulations on joining forces together. We hope you both have an excellent 2017 season and look forward to seeing the new products that come from this partnership. Mr. Adachi: It is our honor. Thank you!